My name is Erica Mones. 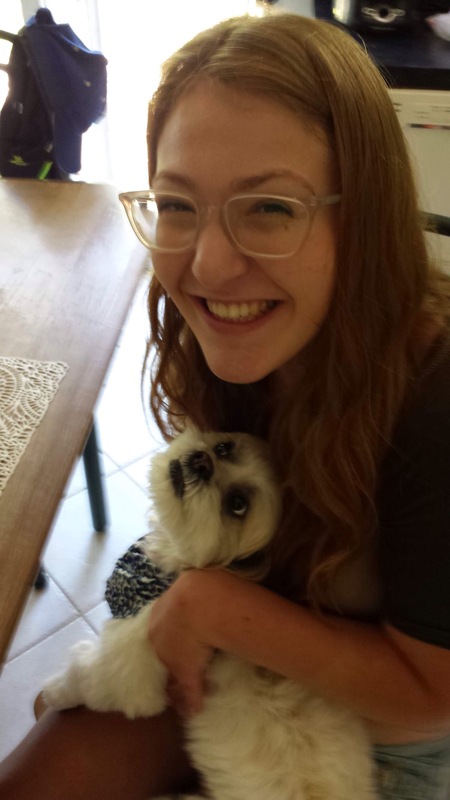 I have cerebral palsy, an eating disorder, and depression. When I was eighteen, I attempted suicide. This is my truth. 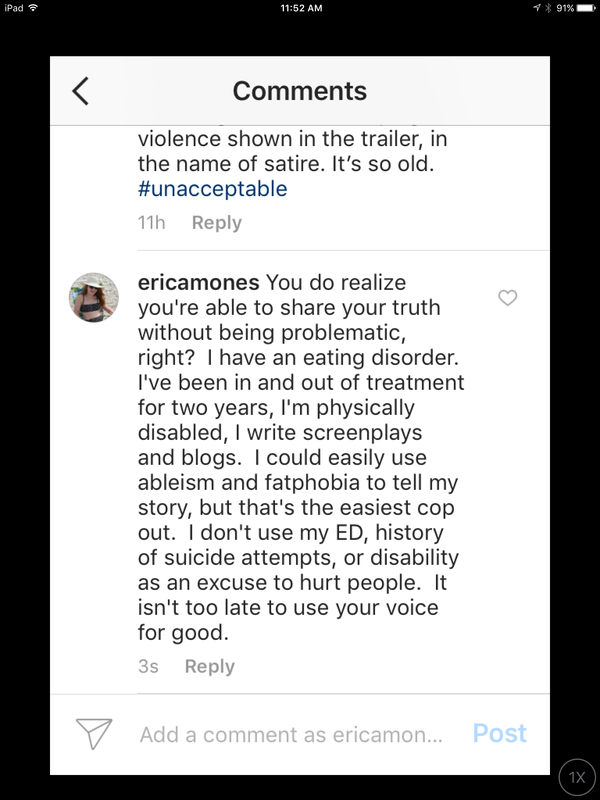 As someone who has been suicidal in the past and is currently battling an eating disorder, I can attest that sharing one’s truth does not require poking fun at other people. Sharing one’s truth never requires hurting others. If anything, the best art comes from a place of good; a place that intends to help, not hurt. 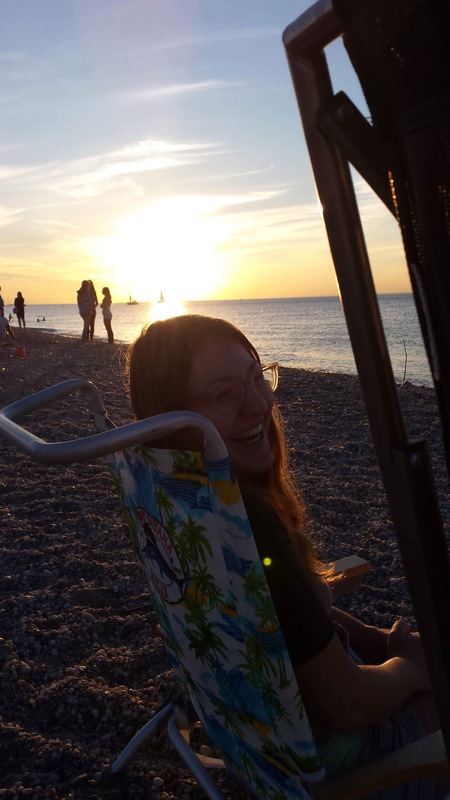 As a writer, I often find it challenging to write about my disability, eating disorder, and other mental health issues without being inflammatory and sensational, however my best pieces need to be meaningful and true. Inflammatory and sensational are nothing new, artful, or genuine. As a writer, I aim to create new pieces that speak my truth about the world. 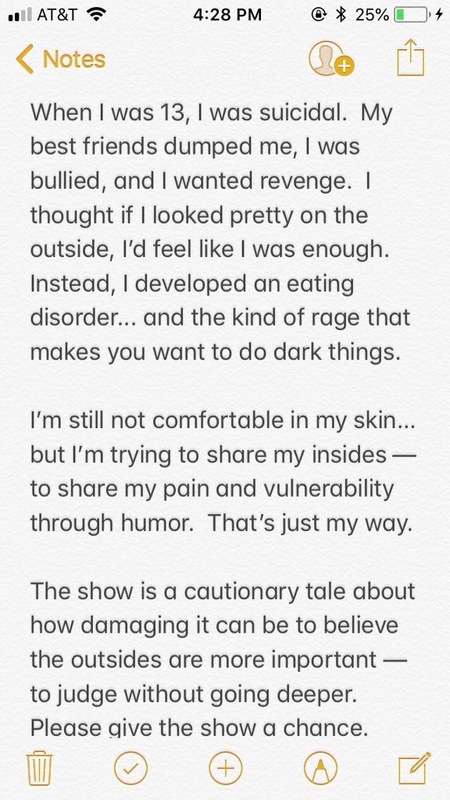 From what I can see of Insatiable, it is another melodramatic show that equates fatness with unattractiveness, rendering fat characters stagnant until they undergo weight loss. This does not speak the truth or anything close to it. Last semester, I took a class on screenwriting. After reading many screenplays, our final project was a forty-page screenplay that would be workshopped by our peers. I wrote my screenplay about a disabled girl in college navigating eating disorder recovery, school, and relationships. The hardest part was not being vulnerable with my peers, but instead, telling a genuine story with meaning. Oftentimes, I found my scenes were driven by anger, and so I rewrote them. The protagonist was allowed to be angry at times, but a story driven by anger only reinforces stereotypes. Stories driven by anger often lack depth; they seldom teach their audience valuable lessons. 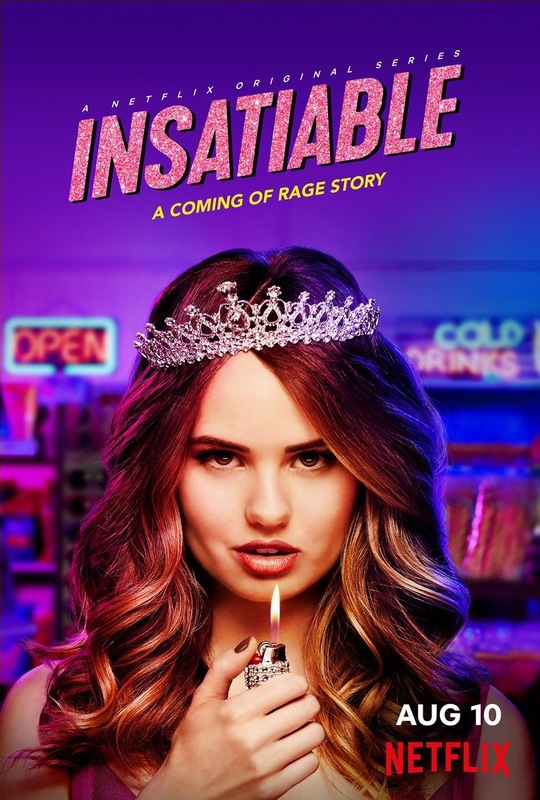 From what both Ryan and Gussis have said and from trailers, Insatiable looks like it is driven by anger. It is easy to come from a place of rage. It is easy to attack the vulnerable (e.g. Fat, mentally disabled, mentally ill), but the easy way out is seldom the responsible way; it is a cop out. No matter what someone has gone through, using fatphobia or any other form of bigotry for humor is not justified; instead, it is cowardly. My truth does not need to hurt people; because it comes from a place of forgiveness and confusion and love and anger and hopefulness, but not pure anger.